The reduction in the sales of desktop PCs and notebooks can be attributed to the launch of the tablet, which is now literally dominating the market. Rising above all competition, Apple’s iPad is ruling the tablet market worldwide. There’s no doubt that such an increased demand will lead to the developers’ turning to application development for iPad. We at Ginger Domain offers customized app development services for iPad applications, making it a company that you can rely on for iPad app development. 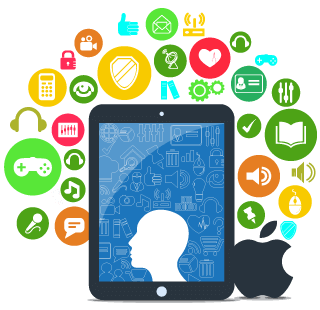 You need not look further, because, our team of experienced developers is capable of creating diversified iPad applications due to their expertise in this field. Our developers can provide user-friendly applications that meet all your demands.